Any lover of Bang! will probably want this one too. Having said that this set is unusual in that it doesn't necessarily add on to what you have already. Rather it's an extra - a set of 15 cards that you can choose to use as special effects cards. I think they're a lot of fun though, and if you're also a fan, I think you will too. This expansion adds a deck of 15 red bordered cards to the game. 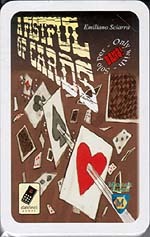 these are not shuffled into the main deck, but each round a card is drawn, read aloud and its effects affect that round of play, such as face up cards do not count this round, or if someone has been killed, they can come back into the game. Adds a nice twist to the game, but not an essential buy.